Avologi ENEO Luxury Skin Treatment Review: This is How I Avoided Needles! It is out of our utmost care that we’ve specifically dedicated this page to help you and many other consumers of the Avologi products share your honest experiences with the items as well as the stores where they are sold. No word from you to us will go unheard. We are waiting for you to inform us how you feel about the products. This page is truly dedicated to listen to your feedback. This is the only page that you can confidently share your experience in avologi stores, staff and the products. We welcome genuine reviews offered by consumers who have no special interest in us. We post all the reviews as received. Feel free to tell other people about the experiences you had with any of our stores and if possible, indicate where it is located. In case you had any issue concerning any of the Avologi products featured, this is the page to share your issue. I had been trying to hide wrinkles for 7 years and at some point I got sick and tired of applying makeup. Luckily, I met a woman at a salon and despite her being my age mate, she looked younger. I was curious and she was kind enough to show me the Avologi device her son bought her for her previous birthday. I didn’t hesitate to buy mine and I swear this device is a miracle performer. I have used it for a couple of months now and the change is remarkable. No fine lines and the wrinkles are slowly going away. My best purchase of the year. I live in a place with lots of sun and my skin hasn’t been spared. It’s awfully dry and no amount of creams or lotions gives a long lasting solution. I bought Avologi after reading some reviews online and I haven’t regretted my decision so far. I use it regularly and as per the instructions and my skin has acquired a certain glow that is very noticeable. I can now go out in the sun and not worry so much. My first experience with a skin rejuvenation device was not a pleasant one. The device I used was awkward to hold and the warm heat was a bit uncomfortable. When Avologi was recommended to me, I was a bit hesitant. I was however worn over by its design that makes it so easy to use. The fact that an Avologi device is made in such a way that it only emits energy when in contact with the skin was a huge plus to me. I bought one and I’m really loving it! I have been relying on Avologi and I can’t complain. I may not have seen tremendous results as soon as others have seen theirs, but I also know that results depend on a number of factors such as age, health conditions and individual metabolism. I’m happy with the results so far and I’m considering purchasing the Renelif Advanced kit that may be more ideal for me. I have spent a lot of money over the years on skin care products that didn’t seem to work well with my type of skin. I purchased an Avologi device and I have been using it for the past two months. My skin now looks more rejuvenated and refreshed with every use and the results are long lasting as well. I recently bought the Renelif Classic kit by Avologi and I’m so impressed with the brand. It delivers good results as promised and I highly recommend it to anyone. I’ve also read reviews in reference to Avologi’s Renelif Advanced kit, which goes even deeper into the skin for even better and long lasting results, and would love to try it. Best brand for skin rejuvenation so far. My wife made regular trips to upscale skin spas to try to rejuvenate her dry skin. She was unhappy with the short-lasting results she got, and I was twice unhappy as it was my credit card paying for it. Being a catalog businessman, I come across different kind of products that are viable for the market. One brand that caught my eye was Avologi, and I decided to buy one device for my wife. I made a one time purchase and it has made up for all the numerous times she went to the skin spas. We are both very happy with the product. I haven’t used the Avologi device for long but I can already see a huge improvement on my skin. Together with regular exercising and proper diet, I now look younger than my age. Highly recommended. The Avologi device is lightweight, ergonomically designed and easy to use. I’ve used it as part of my weekly skin regimen and I’ve surely noticed an improved appearance in my skin. My skin is more even toned now, and it also looks younger and refreshed. I recommend it. 7. I had been trying to hide wrinkles for 7 years and at some point I got sick and tired of applying makeup. Luckily, I met a woman at a salon and despite her being my age mate, she looked younger. I was curious and she was kind enough to show me the Avologi device her son bought her for her previous birthday. I didn’t hesitate to buy mine and I swear this device is a miracle performer. I have used it for a couple of months now and the change is remarkable. No fine lines and the wrinkles are slowly going away. My best purchase of the year. Tried so many things, from creams and lotions to what not, hoping that they could eliminate the dark spots left by acne. Nothing worked to my satisfaction and every time I tried something new, another eerie thing popped up. This was until I came across Avologi. It’s been five months since I started using the device and most of my skin problems have already been solved. I couldn’t be happier. If you are past 40, this is a brand that is worth your consideration. I have used it correctly and consistently for the past 6 months and you wouldn’t be able to distinguish me from the 30-year olds. It lifts away the look of tiredness from my skin and helps me look younger after every use. 4. I bought the Avologi device for cosmetic reasons and I use it for both my face and neck to help reduce fine lines. It’s very comfortable and safe to use with a nice skin-soothing sensation. I have realized that the device helps me get the most out of other skincare products like lotions and creams, as they absorb more readily into my skin. I used to see the Avologi device on display and finally decided to give it a try. I didn’t achieve an overnight miracle with the product, but with regular use as per instructions, I certainly do see a clearer and a more refreshed look even without any makeup on. The product is really worth a try. Never thought I would write a review for any product, but I’m so happy with my Avologi product that I have to tell about my experience. At 63, signs of aging had already manifested on my skin and no amount of creams could hide the wrinkles and fine lines on my face and neck. I’ve used Avologi for about 3 months and almost everyone around me has been commenting how good my skin looks. My skin woes started way back during my teenage days. The skin that used to be spotless and very smooth developed dark spots and became very rough. I struggled to eradicate my acne for the last twenty-two years. During the period, I tried tens of skin care products, some of which have worsened the condition. Fortunately, as I was surfing the Internet, I bumped on a lady who was explaining her journey with rough, wrinkled and abnormally dry skin and how Avologi has helped her gain an even, shimmering skin tone. Her issues appeared almost similar to mine and hence, I decided to take her route. My skin has changed tremendously within two years of the use of Avologi equipment. Don’t forget that the company has very friendly staff. My mom, sister and I are loyal customers of Avologi. Our skins are very sensitive although they are different; my mother’s and mine are dry while my sister’s is oily. However, Avologi has something for everyone. The company has anti-aging equipment that address diverse skin needs and perhaps that’s the reason why they are getting more customers day by day. Did I mention that my best friends also always count on Avologi for even and glowing skins? Yes, they do! I’m a model and I do lots of photoshoots and videoshoots. With my kind of work, my skin has to look flawless all the time. I normally use a skin rejuvenation device from Avologi and it helps keep my skin unblemished and look perfect on camera. I highly recommend this brand. Kudos Avologi for your top-notch innovations that have taken skin care to another level. You always catch others by surprise! I have been your customer for two years and I have no complain about any of your products. I heard about Avologi during my friend’s wedding for the first time. There was this particular bride’s maid who looked super-elegant with a skin that appeared very smooth and healthy. She had my dream skin tone! She referred me to Avologi when I enquired her about the secret behind her beauty. True to her words, Avologi is the best beauty partner and I can attest to that fact, given that it has really transformed my skin for the four months that I have been using its anti-aging equipment. I suppose every lady who’s struggling to enhance her beauty should allow Avalogi to work on her skin. My four years experience with the company’s devices is enough proof that they are made with skin needs at heart. I look ten years younger as compared to my age mates, thanks to Avologi. Avalogi offers you maximum value for your money. I find their devices very superior despite their fair prices. I bought Avologi products for my wife during her birthday although I wasn’t sure she would like them. Fortunately, they’ve turned to be her most favorite. My daughter has also turned to be a loyal customer of the company. Avalogi is my all time company as far as my skin needs is concerned. Their customer care personnel are also very professional. They’ve never failed to guide me every time I need their assistance. Besides, all their stores are very organized and beautiful. Looking back one year ago, my skin looked terrible. It has dark patches and fine lines besides being very rough. My self-confidence was at its lowest because I saw myself as the ugliest person to ever exist. Luckily, Avologi came to my rescue and as I write this, I think I am the newest diva in town. This company is a revolutionary in the world of beauty. It has high-tech devices that never disappoint. Everybody in my family uses Avologi devices since they are pocket friendly and their results are incredible. I have a very sensitive skin and many devices on the market just made it worse. I had almost given up on having an ideal cream that would smoothen my skin and just before I did it, I came across Avologi whose anti-aging devices have turned out to be what I’ve been looking for years. I highly recommend Avologi products to everyone, especially those with sensitive skins. Thanks Avologi for restoring my beautiful skin. I am a field officer and mostly I work under scorching sun. Before I started using Avologi anti-aging equipment, my skin was very rough and sometimes felt some sort of irritation. I tried various products to improve it but all in vain. I started using Avologi device after a recommendation by one of my friends. When I visited their stores, I came across one lady who took much of her time to explain to me how the device worked. I loved their customer care. 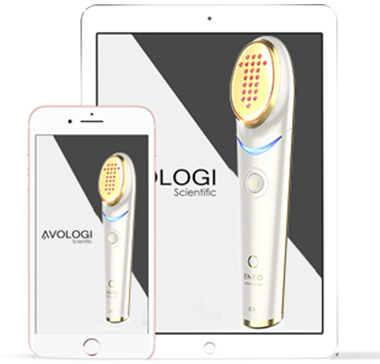 Great customer care and top-notch anti-aging devices are some of the things that set Avologi apart from other companies. I always call them up whenever I need any clarification regarding their products and they respond promptly and very politely. I have truly found partners who walk with me step by step to my ultimate beauty goal-to have the finest skin among my girlfriends. What an amazing result! I had previously tried a bunch of different solutions including injections, creams and so on but I had never experienced such positive results. In fact, the adverse side effects worried me the most as I have some very sensitive skin. I do not know why I had not found Avologi first, but I thank God I found this amazing company just as soon. I have been using their product for two months now and there has been great improvement. When I bought the Renelif skin rejuvenation equipment, I thought that I would require an assistant to use it, since it comes in a gigantic box, but to my joy, it's really designed for personal use without any help. I just love that the device has an ergonomic design, is perfectly balanced and very light weight with a comfortable handle. I never thought using it would be such a simple affair.